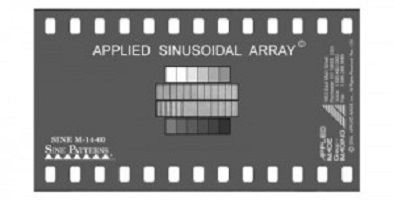 The Sinusoidal Array SINE M-14 was designed for various electro-optical applications, particularly where a small array is needed to fit into the frame. It can fit into an 18mm diameter circle or into a standard 35mm motion picture frame. The lines in the SINE M-14 lie perpendicular to the length of the film. 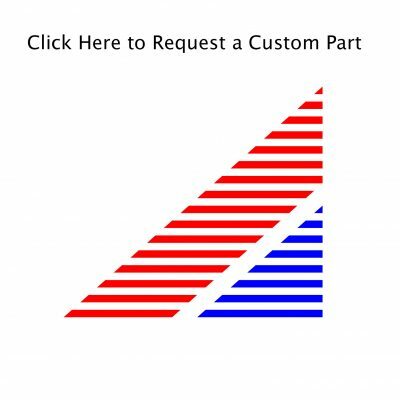 In addition, the pattern is available on a wider film (without perforations) cemented between glass (TM-G options) both the .6 (-60) and .8 (-80) modulations.